Shannon E. Bunger is the Captain of Operations for the Indiana University Police Department-Bloomington, which makes him responsible for the uniformed officers who work around the clock to keep campus safe. 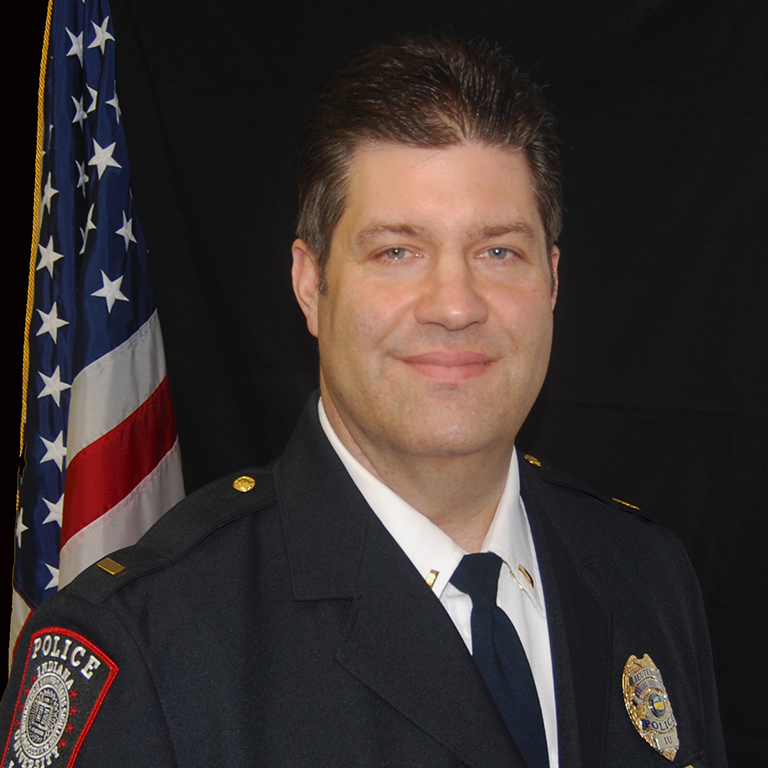 Bunger began working for IUPD in 1995 as part of the IU Cadet Officer Program. He graduated from the IU Police Academy in 1996, and began working full-time for IUPD the following year. His policing roles over the years have included Patrol Officer, Patrol Sergeant, Special Events Sergeant, and Lieutenant. Bunger also served as Head of Men’s Basketball Security from 2012-2014. Training is paramount in the viewpoint of Captain Bunger, as he has always been a proponent of a solid foundation for police officers just beginning their journey in the profession. Bunger has served as a Field Training Officer, as well as a Field Training Manager, during his time with IUPD-Bloomington. He has also been a member of the National Association of Field Training Officers, serving as president of this organization and as an at-large board member. “You need more than intellectual awareness and bodily strength to be fully equipped to engage in the duties of a police officer. Ample training in all phases of community involvement is essential for officers to do an effective job,” he said. Bunger hopes to instill the importance of training with his current officers and to encourage them to become actively involved in the recruitment and training of future IUPD officers as the department continues to grow.